Welcome to Sidelines, a blog by Karl Miran, Athletic Director, who provides insight into how sports are an integral part of the educational experience. “Russian Athletes Banned from 2018 Winter Games” due to a systematic use of performance-enhancing drugs by Russians in the 2014 Winter Olympics. “A Rivalry Grows Dangerous” as the NFL game between the Bengals and Steelers was marked by dirty play, with two players removed from the field on stretchers, and multiple players suspended for unnecessary roughness. The above-referenced world-class athletes can reap great monetary rewards from winning a championship. Although high school and middle school athletes do not have the same monetary incentives, they may still struggle with what “doing the right thing” means in a particular situation, and from that struggle they grow as competitors, and as human beings. Confront your opponent; try to convince him to change his behavior; don’t be bullied; and call in coaches when needed. 2. In sports where there is a referee or other officials to enforce the rules, the athletes still have a responsibility to behave ethically. 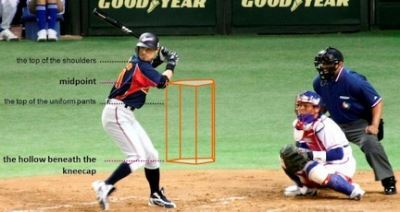 On any given day, however, the actual strike zone depends on how the umpire calls balls and strikes. If a ball between the ankles and knees is consistently being called a strike, while every pitch above the waist is called a ball, that umpire is consistently calling a “low strike.” Protesting is likely a useless waste of time and energy. It is ethical, in that situation, for our pitchers to target their pitches to the area where strikes are being called because the umpire (who is granted authority by the rulebook) has demonstrated what he considers the zone for that day. Throwing pitches at the mid-chest level and arguing that they “should” be called strikes is a waste of energy. The above argument does not apply to practices that are clearly damaging to the health of athletes or are universally disapproved. For example, the fact that many Olympic athletes have profited from performance-enhancing drugs does not justify their use by the Soviet team in 2014. 4. Within the team dynamic, athletes have an ethical responsibility to play to the best of their abilities, and to do so in ways that promote the growth of their teammates, and the strengthening of bonds between teammates. Within a team there is competition between players for playing time. Playing hard in scrimmages is desired, but playing dirty or using psychological intimidation against one’s teammates, increases the risk of injury and may make the team less able to compete against their real rivals. Since “what is good for the team” is at the heart of athletic ethics, such actions are to be avoided.